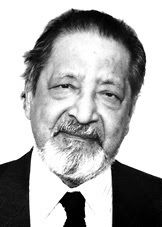 According to Wikipedia: In 2008, The Times ranked Naipaul seventh on their list of "The 50 greatest British writers since 1945. Impressive. Thanks for intoducing me to his work. The House for Mr Biswas is one of my fav novels. I went all through high school but only read it just before Lit CXC exam and we had to read it in Form 2 and 4. In 2008, I bought a copy, read it over and fell in love with the story.